Without any detail on the circumstances I will share what I would tell anyone in this situation. With this caveat here are six considerations to consider going forward. Reader Question: We have an offer for a million dollars over appraisal for our building and parking lot from a developer. They offered 2.2 million dollars with a one-year requirement for us to vacate. We have a separate independent appraisal valuing the two parcels at about $1.2 million. The plan is to demolish the building and parking lot and redevelop. What are some of the caveats we should include when we reply with an acceptance of the proposal? If a buyer will be tearing down or gutting the building, what can be salvaged? For example, cabinetry, furnaces, doors and more. Is it worth the labor to remove items? Can a seller coordinate time to do salvage work? It is unclear if the word “caveats” translates to counter-offer. Developers sometimes pay a premium to acquire property. Always remember that price is only one consideration. If you are comfortable the appraisal you acquired is close to being accurate, be careful not to jeopardize the transaction over small sums of money or inconveniences. Most sellers in this situation that relocate their business include a contingency on any new property purchase that is subject to the transaction closing. Check on potential utility cancellation fees. I am aware of a recent situation where a cable company charged the property owner $16,000 for early termination of a T-1 connection. 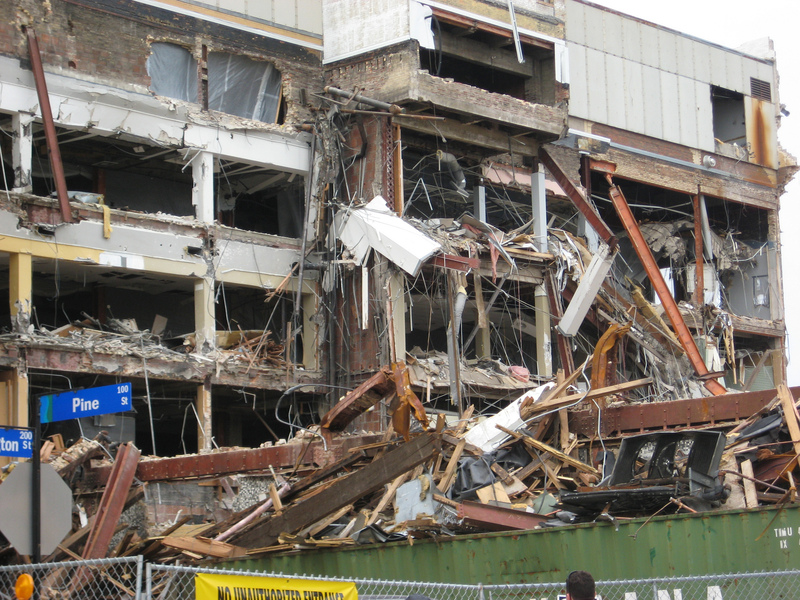 Some sellers ask a purchaser to release them from any environmental liability discovered during demolition. Many such transactions will provide a year after closing to occupy, but many developers do not want to close until near the occupancy date. Does the offer include the many considerations involved in occupancy for a year after closing? Some examples are utility payments, rental charges, escrows to guarantee occupancy, and more. If occupancy after closing terms are not included in the offer, many states may offer a preprinted occupancy agreement. Most sellers will consult an attorney on a transaction this size.